WARNING: FOR PROFESSIONAL USE ONLY. MOST STATES REQUIRE AN ESTHETICIAN LICENSE OR COSMETOLOGY LICENSE TO PERFORM AN EYELASH LIFT. DO NOT APPLY THE LASH LIFT TO YOUR SELF. FREE PROFESSIONAL LASH LIFT TRAINING AVAILABLE WITH THE PURCHASE OF A KIT. Introducing Lash Stuff's All New Lash Lift Kit! EVERYTHING YOU NEED IN ONE KIT - The Lash Stuff Lash Lift Kit contains all the creams, tools and applicators that are needed to perform a Lash Lift. NOW WITH KERATIN! Lash Stuff's Lash Lift now contains keratin in the 3 step conditioner. A MORE GENTLE LASH LIFT - The Lash Stuff Lash Lift is designed to be more gentle on your clients eyes and has less risk of over processing the clients eyelashes. Lash Stuff's new lash lift kit (Also Known as Eyelash Perm) is an new innovative way to perm the natural eyelashes and keep them looking curly and fantastic for 6-8 weeks. The Lash Lift kit is a 3 step process that perms, neutralized, and conditions the natural eyelashes. The eyelash lift process is easy and produces stunning results. Imagine never needing to curl your natural eyelashes again! Most other perm kits only allow you to perm one type of curl. The Lash Stuff perm kit allows you to perm two different types of curls. Create a lash lift that has a natural looking J-Curl or create a C-curl that has more bling! These new innovative eyelash lift rods have a marker on the ends that tell you which way to face the rods. The eyelash lift kit (Lash Perm Kit) is a great option for clients that can not have eyelash extensions due to sensitivities or any other reason. Offer a Lash Lift to clients who just want to take a break from eyelash extensions. The Lash Lift Kit is a great new service that you can add to the menu of services that you offer. 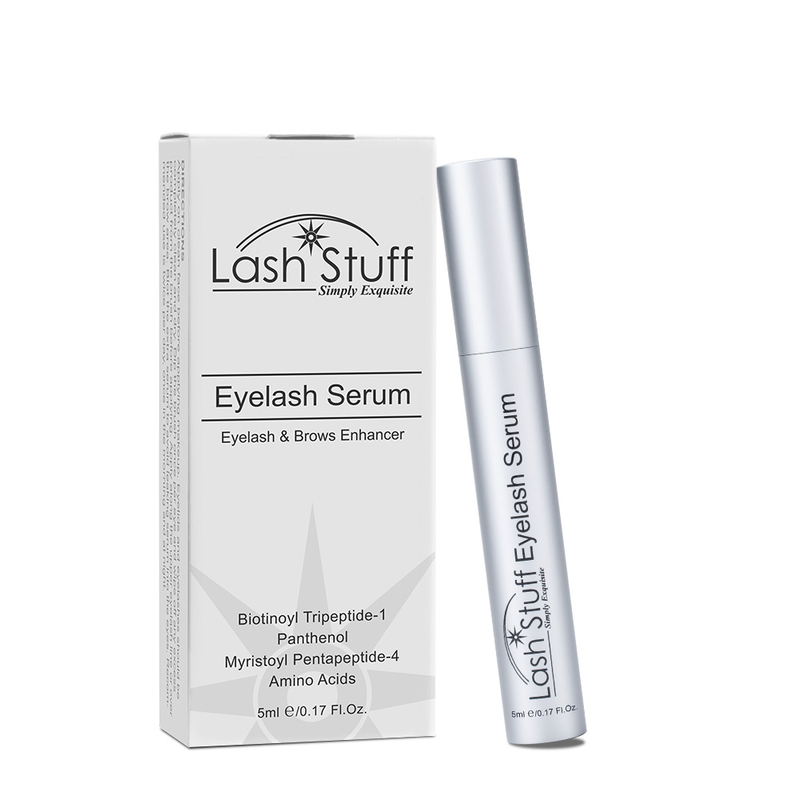 The Lash Stuff Lash Lift is designed to be more gentle on your clients eyes so that there is no stinging that is commonly experienced with other lash lift kits. IMPORTANT: The Lash Stuff Lash Lift Kit is one of the only Lash Lift Systems to provides single serving packets of perming cream. This is important because the second perming cream is exposed to the air it starts to oxidize and lose its strength. Most Lash Lift Kits give you a single bottle of perming cream. This means every time you open the bottle of perming cream it loses strength. Eventually the remaining perming cream will be weak and will not provide a strong lift for your clients. Lash Stuff perming cream is in single serving packets so each time you give your client a Lash Lift the lift will be strong and beautiful. 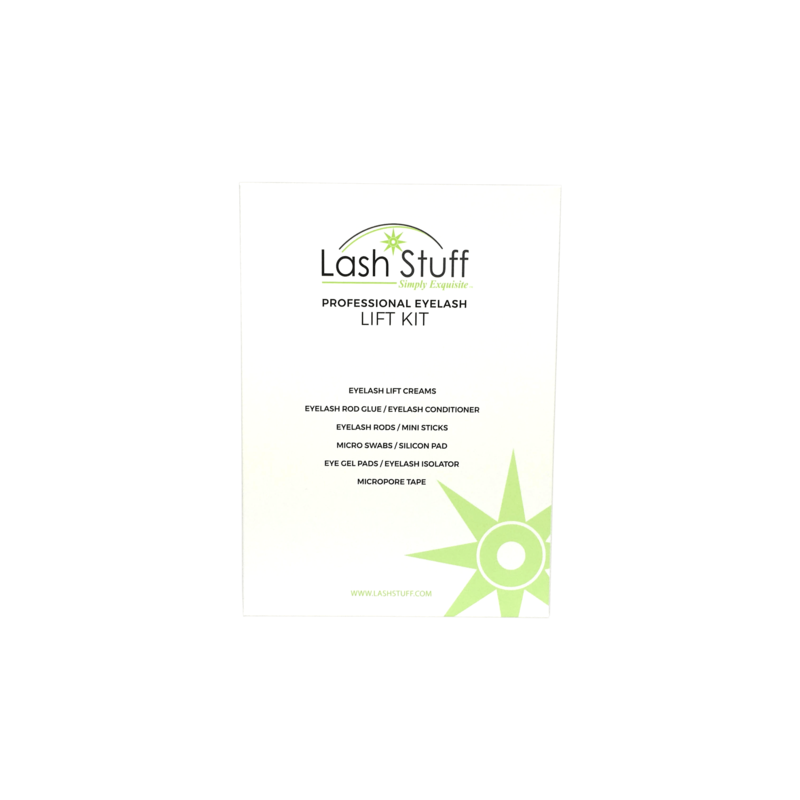 The Lash Stuff Lift Kit comes with more lash lift products than any other kit on the market. 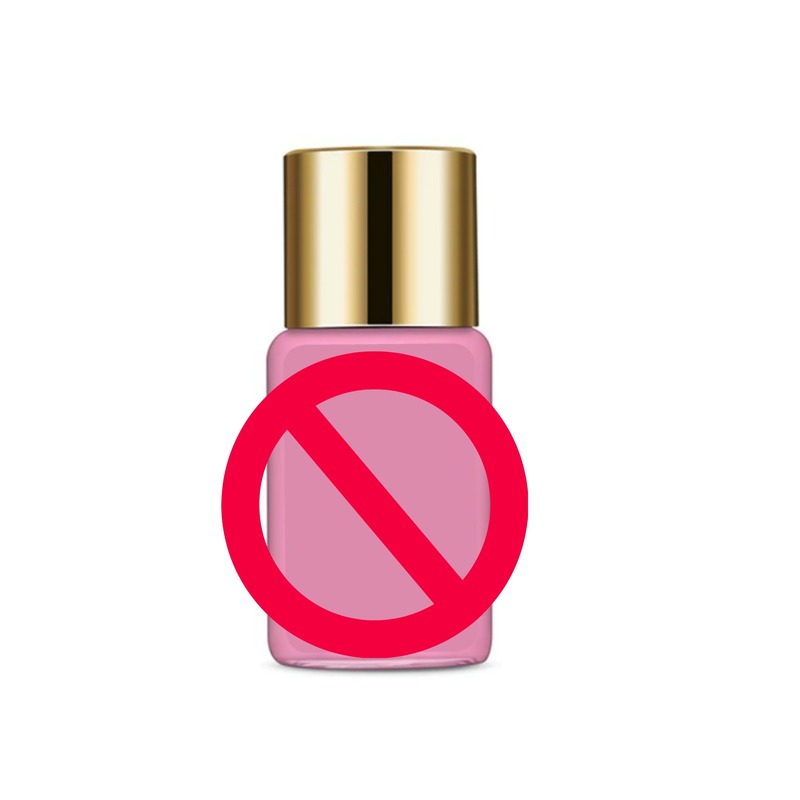 PERM CREAM IN A BOTTLE STARTS TO OXIDIZE THE SECOND IT IS EXPOSED TO AIR. PERM CREAM IN A BOTTLE IS GOOD FOR ONLY 1 CLIENT BEFORE IT STARTS TO GO BAD. 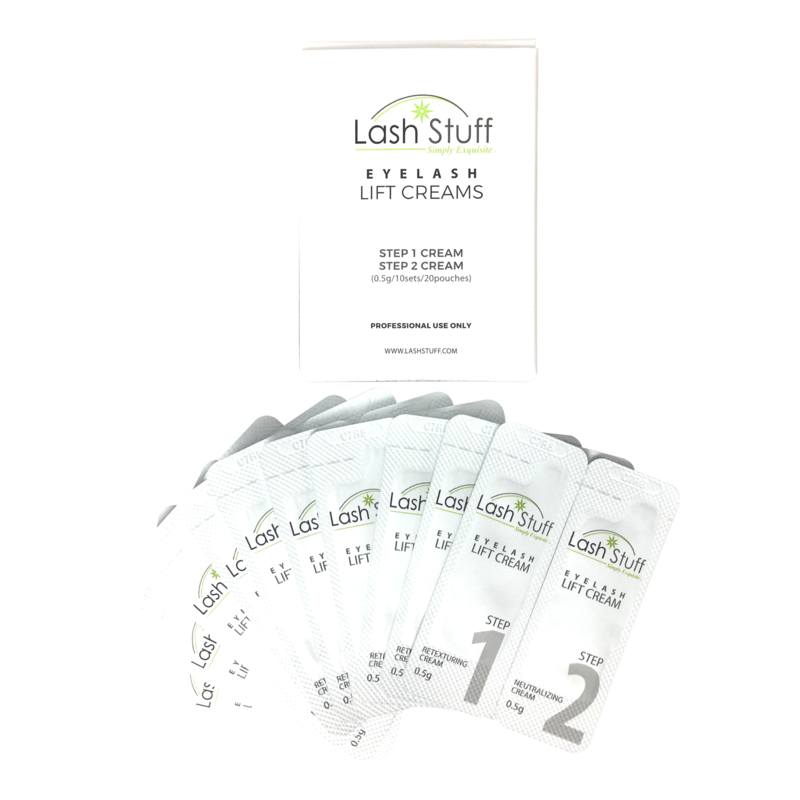 LASH STUFF LASH LIFT CREAMS COME IN SINGLE PACKETS AND STAY FRESH FOR EACH USE SO THAT EVERY CLIENTS GETS A BEAUTIFUL CURL. If you would like to sign up for the free virtual lash lift class you should wait to purchase your kit. Once you sign up for the free virtual lash lift class a kit will be mailed to you. IF YOU PURCHASE A LASH LIFT KIT HERE YOU MUST SIGN UP FOR THE VIRTUAL LASH LIFT CLASS SEPARATELY WITHIN 30 DAYS OF PURCHASING YOUR KIT. STUDENTS WHO SIGN UP FOR THE CLASS AFTER 30 DAYS OF PURCHASING A KIT WILL NEED TO PURCHASE ANOTHER KIT TO TAKE THE CLASS. STUDENTS TAKING A LASH LIFT CLASS AT THE LASH STUFF TRAINING CENTER (CLASS ROOM) MUST PURCHASE A NEW KIT FOR THE CLASS. How long should the client wait until they wear mascara or get their lashes wet after the Lash Lift is applied? Can the client get their lashes tinted after this service? Yes, you can add tint to this service. The curl can last up to three months, but due to natural lash shedding and regrowth, it is recommended to have the service done every 6 to 8 weeks. If the client still has lifted lashes from the previous service, you may over-process those lashes and cause damage to them if you lift the lashes too soon. Use your best judgement, some clients will be ready for another lift at 6 weeks some will need to wait until 8 weeks. If a client is using a growth serum, this may change their lash growth/shed cycle; take this into account when deciding how long to wait for their next lift to be done. The client may be able to go 9+ weeks before needing the service again. This product line is excellent! Training is very good and most importantly the customer service is amazing, they will reply to you promptly for any questions you may have about your delivery or product knowledge. Definitely ordering again!!! I love this kit! It comes with everything you need (including training!!!) I get great results and my customers love it! I absolutely love this lift kit. I have been using these products at the spa I work at and I can't say enough about it. Our clients love their results and always come back with nothing but good things to say. I have used lots of different lift kits and this is by far the best. The rods are flexible and soft and the curl turns out great. I love this Lift Kit! We use this in my spa and we love it! Click the button below to add the Lash Lift Kit with Keratin to your wish list.